Welcome to Planting A Future! This is our new blog. We want to use this platform to introduce you to our project, aims, visions, plans, hopes and dreams. My name is Lloyd and I am a teacher in Chinkonono village in Zambia. I know that we can achieve big things and can change people’s lives in Zambia. I will be using this blog to give you updates on our project. So…to make a start I would like to give some basic information about who we are, what we do and what we plan. Objective: We want to grow breadfruit tree and other fruit tree seedlings in order to supply them to schools and poor household with a view to end chronic hunger and malnutrition among children and other vulnerable people in Zambia, starting in the Kazungula District. Challenges: Due to the lack of garden equipment, irrigation equipment and educational materials for teaching villagers it is challenging for us to expand and reach many beneficiaries. Also the transport for distributing the seedlings and ferrying manure and black soil is problematic at the moment. Despite all these challenges the group has done a lot in terms of mitigating hunger around the village by distributing seedlings . Perspective 1: By the end of 2017 we want 14 schools to have fruit tree orchards to provide pupils with fruits and horticultural skills. Perspective 2: By the of 2017 we wat 100 homes to have orchards providing nutrients to all family members. planted 200 Pawpaws, 190 Guavas, 200 Oranges and 200 Muringa trees. Project profile: Planting A Future is an ambitious project started by members of Chinkonono and Mubuyu co-operative society to provide fruit tree seedlings to schools and villages around Nguba. The project is located in Chinkonono village, in the Kazungula District. 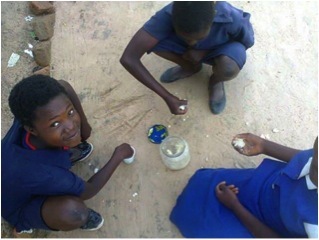 The village is located 58km west of Kalomo town and about 200km from Livingstone. Chief Nyawa is in charge of this region. Click the little greyish icon in the top right corner to see more posts in our archives! I will keep you posted on a more or less regular basis! So keep checking this blog! Breadfruit. 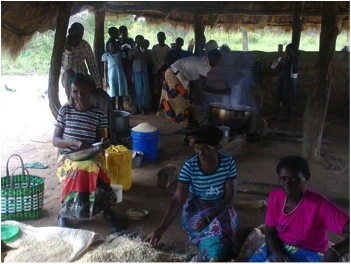 Zambia’s rural population experience hunger every year. People resort to eating caterpillars and wild fruits in order to survive. As it is always the case, children are the worst affected. It is so disheartening to see children come to school hungry or if lucky bring one monkey orange for thier lunch. This sad situation made me search for a nutritious and sustainable food which is not affected by seasons like maize. Since time immemorial, fruits have been saving men from starvation as they are not affected by seasonal changes. It became obvious that fruits were the only answer to the problem. The only disadvantage of traditional and exotic fruits was lack of proteins and carbohydrates. But luckily enough the Breadfruit Institute was promoting a unique yet holistic fruit called breadfruit. The institute and its partners were distributing the trees into areas where it would grow. Luckily enough, Kazungula District was identified as one of the areas with ideal climate where the trees can grow under irrigation. In December 2013 I contacted the institute director Dr. Ragone and she donated 150 seedlings to us. Unfortunately, the trees were lost on transit and I almost gave up. Dr. Ragone and Josh Schneider encouraged me not to give up. 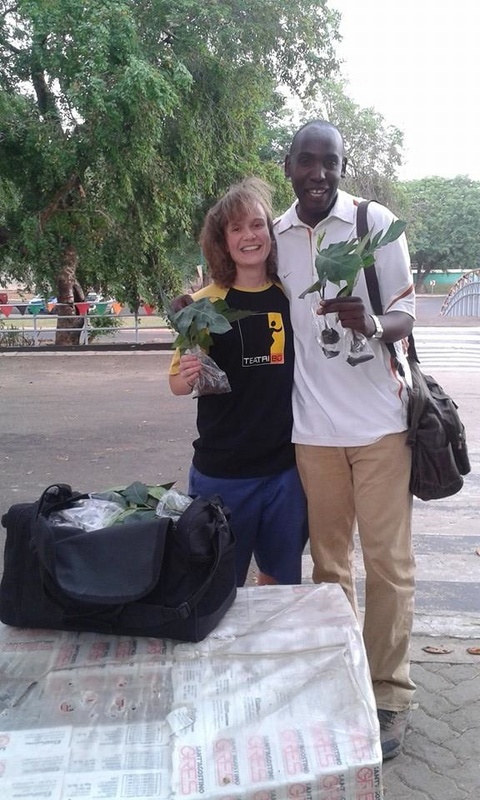 Garry Grueber, a very passionate and enthusiastic member of Global Breadfruit advised me to find someone who could hand carry the trees from Germany to Zambia. It was difficult to find one until a friend, Juliane Friedrich volunteered. Julie had decided to come to Zambia in order to get the trees here. The trees finally arrived on 10th October and were quickly taken to Chinkonono village where they were planted into polythene bags . 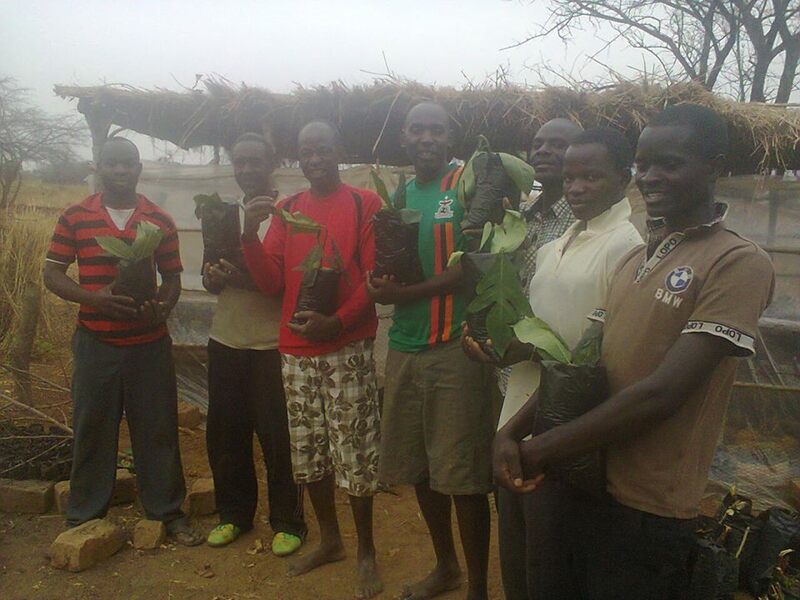 Oct 10 of 2014: Finally 150 seedlings made their way to Zambia! We’re thrilled that Zambia has become the latest country to receive breadfruit trees from the Global Hunger Initiative. BFI donated 100 trees that were hand-carried in a backpack from Global Breadfruit in Germany to Zambian Lloyd Lukama Kasela. For more than six months, Lloyd has worked tirelessly to bring breadfruit to his country, driving hundreds of kilometers for the correct permits and educating his community. The trees are thriving in a greenhouse Lloyd built himself, and grew new leaf shoots less than two weeks after their arrival. The idea: Other fruit trees being raised by the group are Pawpaws, Guavas, Oranges and Moringa. These will be given to households together with breadfruit in a household pack comprising a Breadfruit Tree, 4 Guavas, 4 Pawpaws and 4 Oranges. Bananas and Mangoes will be introduced as soon as possible. Slight changes in the packing: Today i unveiled the ‘Planting A Future’ family pack to the headman. In it are 2 Breadfruit Trees, 6 Oranges, 6 Guavas and 6 Pawpaws. Such packs will be given to all 36 households in my village. Each home should have an orchard by December 2015. A programme for schools to provide breadfruit trees and other fruit trees will begin in 2015. Seedlings for schools are already planted and are growing at Kalomo Corner Garden and at Mabuyu Breadfruit and Fruit Tree Nurseries. What if there was a roasted Breadfruit, an orange or a guava for each of those cuties? I will fight until that happens….as I did for the classrooms and borehole….I will fight.